Описание: Top Notch Third Edition - третье издание популярного курса английского для взрослых. 4 уровня: A1 Beginner - B1+ Intermediate. Благодаря интересным темам курс развивает навыки критического мышления, а так же вы начинаете общаться на новом языку уверенно и непринужденно благодаря новым интенсивным практическим заданиям и систематическому повторению пройденного материала. Новое издание получило обновленный дизайн, новые статьи, задания и темы, благодаря которым можно получить максимальную отдачу в обучении. Видеоролики показывают, как общаются носители языка в повседневной жизни. Каждый урок содержит новые задания по грамматике. В книге для учителя содержатся дополнительные упражнения для классов с различным уровнем успеваемости. Longman Top Notch is a dynamic communicative course. 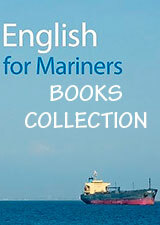 Through multiple exposures to language and systematic, intensive recycling, English becomes unforgettable. 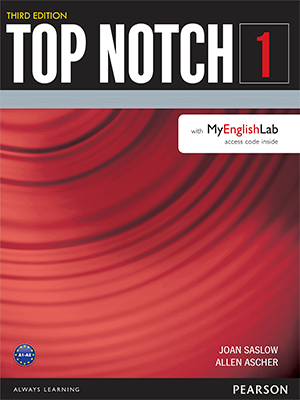 Top Notch, now in a Third Edition, is a dynamic communicative course that makes English unforgettable through multiple exposures to language and systematic, intensive recycling. Goals and achievement-based lessons with can-do statements enable students to confirm their progress. Top Notch builds confidence for successful oral expression through an expanded speaking pedagogy and prepares students for academic work through the development of critical thinking skills and reading and listening strategies. With a new, modern design and tools that make teaching more effective, the third edition will help you get the most out of your students. New Conversation Activator Video. This unique video component dramatizes all of the conversation models, demonstrating how to personalize and extend them, greatly increasing students’ oral expression. New Pronunciation Coach Video. This video helps students achieve more accurate pronunciation. A video Pronunciation Coach demonstrates, clarifies and provides simple guided practice of each unit’s pronunciation topic. New Grammar Practice Activities. Every grammar presentation now includes additional exercises, available in both printable and digital format. Digital Student Book with interactive activities and instant access to audio, Conversation Activator Video, Pronunciation Coach Video, new Digital flash card player, Method’s Handbook for professional development, detailed lesson plans, answer keys and audio/video scripts, ready-made achievement tests plus editable tests as well as extra worksheets and more. New Top Notch GO app gives your students the flexibility to listen to the full audio programme outside the classroom whenever and wherever they want.